When we talk about “superfoods“, we typically mention unusual-sounding items like chia seeds, matcha powder, and green algae. But some of the most beneficial foods you can eat–and use in your beauty routine—are not quite as glamorous: We’re talking about good old citrus fruits. 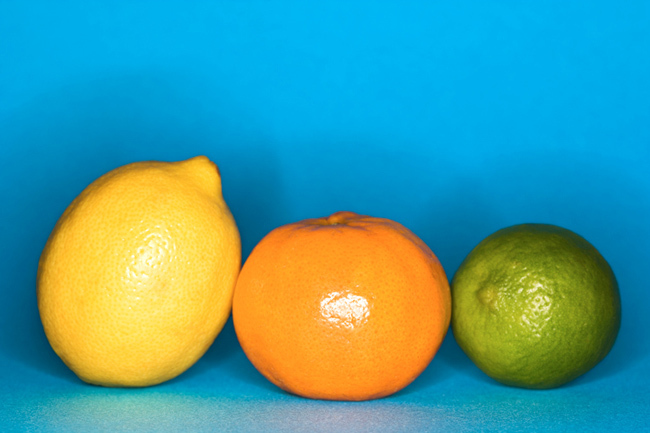 From grapefuit to lemons, clementines to oranges, citrus does your body and face good. Here are seven ways you can use these pulpy fruits to your benefit, according to the experts. Grapefruit seed extract can be used to fight infections and can rid the body of unhealthy bacteria, according to holistic nutritionist Sally Pansing Kravich (who’s worked with Kerry Washington). 2. To get rid of cellulite. Yep, that’s what the experts say! Certified aromatherapist Gina Kamburowski, founder of GoodLivingIsGlam.com, says that grapefruit especially, which has a super high concentration of vitamin C, stimulates collagen production and helps skin retain elasticity. 3. To improve your immune system and digestion. Clementines are another great digestion aid, Kamburowski says. “Although they’re tart and acidic, they also contain essential alkaline minerals that are key to helping balance the body after digestion,” she explains. “Add them to your daily juice or smoothie, or simply eating them piece-by-piece as an energy-boosting afternoon snack. 4. To jumpstart your metabolism. It might sound crazy but citrus fruits can actually raise your metabolic rate while resting, says Jolie Martin, Laser Medical Esthetician and skincare expert at NYC’s SKINNEY Medspa. “The phytonutrient load found in citrus fruits can burn additional calories making them an ideal addition to your fitness…or resting plan,” she explains. According to Beth Shaw, author of YogaLean, grapefruit is especially great for metabolism boosting: it’s high in enzymes, which burn fat, and has a high water content as well, keeping you hydrated. 5. To brighten your skin. Citrus essential oils provide exceptional cleansing benefits to the skin as well as some anti-inflammatory ones, which make them extremely beneficial for healing blemishes or even razor cuts, says Julia Teren of Thesis Beauty. 7. To lift your spirits. Try citrus as mood-boosting aromatherapy, Teren suggests. “Citrus oils such as bergamot, petitgrain, mandarin and grapefruit are incredibly aromatic and uplifting when used in mists, diffusers, and natural candles,” she says. “They help relieve signs of stress and fatigue, promote relaxation and elevated mood.” For a spa-like unwinding experience, soak in your bathtub with Thesis Beauty’s Dead Sea Bath Salt Citrus Grove, which will benefit your senses and your skin.